Sight is one of the first senses your baby will start to develop when he’s born. 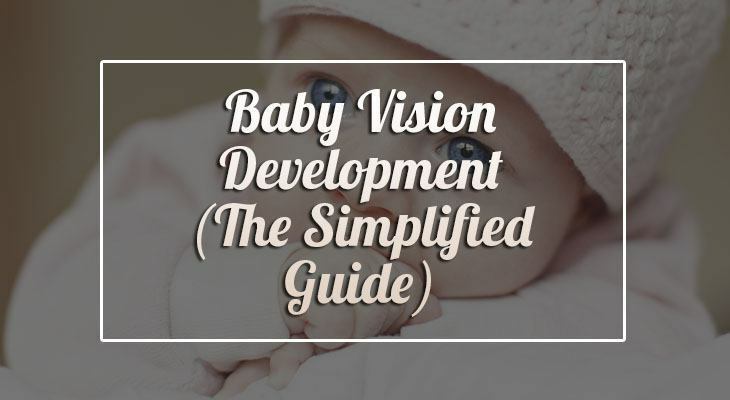 And, in this article, we’ll be discussing baby vision development in detail. Vision is also one of the most basic skills he will need to learn to make his life more comfortable and more immersive. Your baby’s ability to see will open up endless possibilities to him, and that’s why learning about baby vision development is critical! It’s vital that you know how to take good care of your baby’s vision. So, get tips on how to help develop his eyesight, as well as learn how to identify eye and vision problems early on for better prevention practices. Read on to find out more about vision development and share what you learn with your family and friends! Want to learn more about your baby’s developmental journey? Head on over to these articles – Baby Development and Baby Development Milestones. All You Need to Know About Baby Vision! Like talking and walking, baby eyesight isn’t fully developed when your child is born. Your baby will need to learn much-needed skills over a period of time before he gets all his visual abilities. But that doesn’t mean that your newborn can’t see! Newborn vision may be hazy, but your baby can still explore and experience the world around him through his eyes. That being said, eyesight plays a vital role in helping him learn and understand future developmental milestones. You, as parents, play a critical role in making sure that your baby’s vision develops properly. How can parents help with baby visual development? Are there eye benefits from nursing? What happens during baby’s first eye exam? Why should you stare into baby’s eyes? When can babies see clearly? When do babies’ eyes focus? When do babies’ eyes change? Your baby’s vision will start to develop even before his birth. The development of his brain and eyes during your pregnancy plays a vital role in his ability to see clearly in the future. Therefore, you will need to take extremely good care of yourself during these stages. Always consult your OB/GYN about the things you need to do to make sure your pregnancy goes smoothly. Some of the things you should avoid when pregnant are smoking, drinking alcohol, or consuming drugs. All these produce toxins that can harm your unborn child and have drastic effects on his vision. Another thing you should keep in mind is the medicine you’re taking. Meds like aspirin can cause low birth weight which increases the risk of your baby getting vision problems once he’s born. 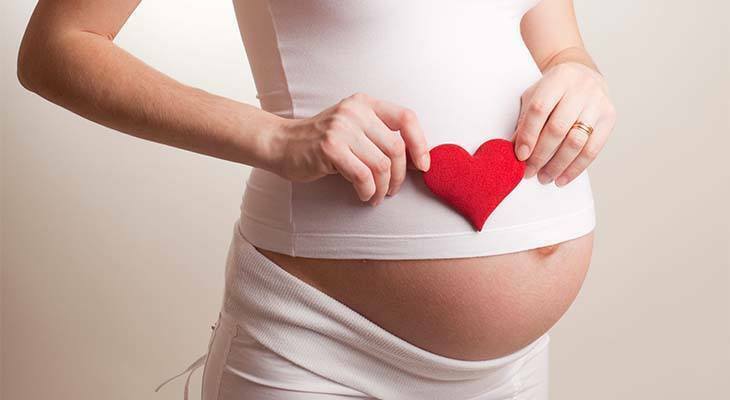 Want to learn more about what happens during your pregnancy? Check out these articles – Fetal Development Week by Week and Premature Baby Development. Now you know that vision development starts in the womb, but at what age can babies actually see? Well, your baby will be able to see as soon as he is born. However, his vision would be very blurry and will continue to improve until he’s about 3 to 5 years old. This rapid development is the reason why it’s crucial that the first months of your baby’s life go smoothly. Your baby’s visual acuity when he is born is at 20/400. In time, it will reach the 20/20 level that’s common in adults. During his first weeks, your baby’s vision can only see about 8 to 12 inches from his face. He can also just see in black and white, with varying shades of gray. 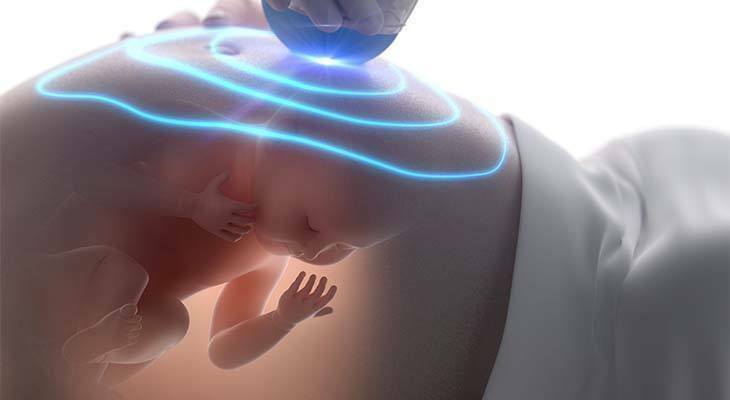 By the end of the first month, your baby will be able to recognize your face and start tracking objects. His development will continue to pass quickly. Soon your baby’s hand-eye coordination will improve, and help him focus on your faces or anyone who’s near him. At the end of this stage, your toddler will also start to reach for things near him. During this period, your baby’s attention will widen visually, and he continues to focus on things longer. He can also control his eye movements better and will be able to look at things from across the room. His depth perception ability will also develop at the latter part of this period, meaning your baby can now gauge if something is near or far from him. By this time, your baby’s color vision is also developing but is still not as good as an adult’s. Hand-eye coordination will continue to progress now that your baby can crawl. Most of your baby’s basic vision skills are now visibly progressing, and he will be looking more interested in the world around him. You might notice your baby can pay more attention to pictures. He can also recognize people better. His visual acuity is also getting clearer as time passes. He might even notice the small bread crumbs on his plate now! At this stage, your toddler will also be able to see partially hidden objects better. He can also play simple games like hide and seek. By this stage, your baby’s hand-eye coordination and visual perception skills are already well-developed. His familiarization skills are also improving, and your child will be able to recognize you, his home, and his favorite things easily. He can even scribble little drawings. Also, if you want to learn more about your baby’s development on eye and speech, head over to these articles – Baby Eye Development and Baby Speech Development. Babies can learn all these milestones on their own. That’s true. But some help and support from you will come a long way for him. Alternate sides when breastfeeding to exercise both eyes. Keep a nightlight in your baby’s room. Put toys within 8-10 inches for your baby to focus on. Install toys like a hanging mobile or crib gym to help stimulate your baby. Allow your baby to play on the floor as a form of exercise. Let your child play with plastic or wooden blocks that he can hold. Play simple games like patty cake and peek-a-boo to help develop his hand-eye coordination as well as hearing and language skills. Play games like hide and seek to improve your baby’s visual memory. Let your child crawl around the house to develop better hand-eye coordination. Play games like rolling a ball back and forth to help your baby track objects. Practice reading stories to stimulate your baby’s visual, hearing, language, and learning skills. Allow your child to play with building blocks and balls to help advance fine motor skills and visual skills. If you want to learn more about your baby’s development on language and brain, head over to these articles below Baby Language Development and Baby Brain Development. There have been studies throughout the years showing that breastmilk has more nutrients that are beneficial to your baby during his formative years. In a 2007 study published in the American Journal of Clinical Nutrition, it showed that babies fed with breastmilk have better vision than babies who were fed formula. These professionals think that this is because of docosahexaenoic acid (DHA) which is naturally carried by a mother’s breastmilk than in formula. It is known to enhance vision during a baby’s developmental stage. Unfortunately, eye and vision problems do occur in babies. However, they are rare. Nevertheless, it’s better to be aware of the signs to prevent your child’s vision from worsening. If you notice your baby having one or more of these signs, it’s time to visit your pediatrician. Talk to him about the next steps. After an initial check-up, your doctor may recommend you to a specialist. Since eye and vision problems rarely occur in babies, most might not see the point of having their eyes checked up if everything looks normal. But that shouldn’t be the case! Take your baby to his first eye exam as early as 6 months of age. While problems may not be apparent, it can already be developing. Your baby’s optometrist will test for your baby’s eye movement ability, general eye health, and common vision problems like nearsightedness, farsightedness, or astigmatism. The great thing about your baby’s first exam is that it’s free. A public health program called InfantSEE has been designed to aid you in getting quality services for your baby between 6 months to 12 months of age. It may be a little hard to believe, but a recent study has shown that staring into your baby’s eyes forms a sort of mind meld between the two of you. This study showed that babies respond more closely and connectedly when the person communicating with them is looking straight at them. So, it’s not enough to talk to your baby and expose him to classical music. You should also establish a connection by looking at him when you’re chatting. At about 6 months of age, your baby’s skills in depth perception and eye-hand coordination is beginning to develop. His vision, therefore, is continuously improving and he’ll be able to reach and grab objects with more confidence. But his actual visual acuity is still 20/100 meaning his vision is still blurry in adult standards. Your baby won’t reach the ‘normal’ vision of 20/20 by about 3 to 5 years old. Since your baby is born with very blurry vision, his ability to focus on objects is very limited. But he can still do it if he wants to. In fact, newborns can slightly focus on faces or things about 8 to 10 inches away from his own face. As time goes by, his vision gradually gets clearer, and you will notice your baby can now keep his attention longer on certain objects. By about 8 months of age, his vision is clear enough for him to recognize people and objects from across the room. As a newborn, your baby can only see about 8 to 12 inches away from his own face, and it will gradually get clearer as time passes. At four months, your baby’s depth perception will start to develop; allowing him to tell how far an object is away from him. In the next month, your baby will be able to distinguish small and hidden things and will likely want to examine them at close range. 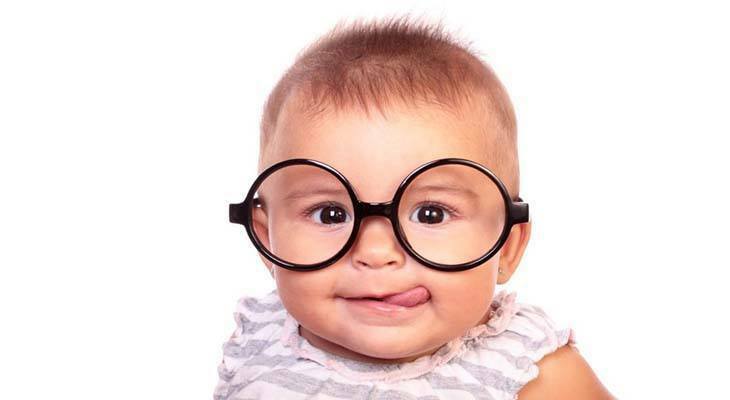 At eight months, your baby almost has the same vision as an adult, and he will be able to see clearly by 12 months. Most new parents don’t know that a baby can still change color after birth. Throughout his first months, your baby’s eye color can still become darker as he grows. His final eye color will be more apparent by his ninth month. When babies are born, they can only see in black, white, and some shades of gray. Colors will come into play by his first month, but he cannot distinguish their differences yet. At two months old, your baby’s color vision will become clearer. He can even differentiate between different shades now. Your baby will be able to distinguish the full-color spectrum by the age of five months. During his formative years, it’s essential for you to keep your baby engaged in activities that can help develop his skills. Visual play does the job effectively and can be fun for both you and your baby. It also keeps him active and interested in learning new things. Exercising your baby’s visual skills are vital for his other developmental milestones like grabbing, walking, and talking. Being able to see clearly will make reaching these milestones easier for your child. Toys can be a helpful tool to keep your baby engaged in your activities. A newborn visual toy can be something as simple as a mobile for his crib. It can be placed 12 inches away from him, and the slow movement of the mobile can keep his focus on it for a while. When he grows older, different toys can help encourage him to roll over, lie back, and reach for things. Bold colors and patterns can also help stimulate his visual skills even farther. Some toys can still be overstimulating. Toys that have flashing lights and the like should be used in moderation. There are many developmental tools you can use, actually. Check out these articles Baby Development Toys and Baby Development App for more information.